Kirk-Rudy’s team proudly produces the world’s best Print & Mail, Packaging, and RFID equipment every day. Since 1967, Kirk-Rudy has innovated solutions for addressing and paper handling for the direct mail, printing, newspaper and card industries. 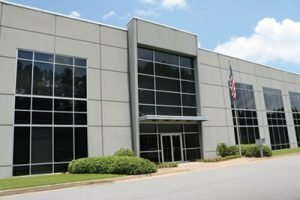 Because we engineer and manufacture our systems from end to end in our state-of-the-art Georgia facility, we can control costs while delivering outstanding quality and performance. That means outstanding value for our customers worldwide. Kirk-Rudy offers cost-effective solutions that are exceptionally well built, flexible and easy to operate and maintain. Our global network of dealers offers a full range of modular Kirk-Rudy components, allowing you to create a custom system that meets your needs precisely. Kirk-Rudy was founded in 1967 by Harry Kirk and Fred Rudy who worked together for a number of years at the Cheshire Corporation in Chicago. Harry was Chief Engineer and responsible for many of the time saving features on Cheshire’s equipment. He held a number of patents on various methods and parts. Their first creation was a flexographic imprinting machine designed to imprint on pre-printed calendars, catalogs, leaflets, etc. Their attention then turned to developing a line of address label and stamp application systems that were more flexible, easier to maintain and more affordable than those currently on the market. 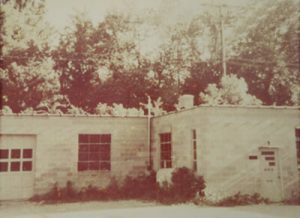 In 1971 Harry and Fred, along with a group of faithful employees moved the entire operation to warmer climate in Kennesaw, Georgia, just north of Atlanta. At this time several international equipment dealers became interested in our products which resulted in rapid growth and expansion. Fred Rudy left the company in 1972. Orders for Kirk-Rudy equipment continued to pour in as our reputation for quality and dependability became well known. Even The White House ordered an addressing system under the Carter administration. 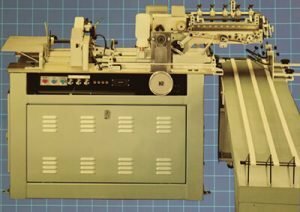 As postal regulations and technology advanced, Kirk-Rudy continued to develop new equipment for the mailing industry as well as an inserting system for the newspaper industry that became very popular. Sorting and stacking systems were introduced, along with belt turn-overs, quarter folders, envelope inserters, card attaching systems and our now famous Kirk-Rudy Tabbers. As inkjet technology was introduced to mailing industry in the early 90’s, Kirk-Rudy quickly began creating inkjet addressing systems that gained traction and popularity. Like all the other equipment we produced, Kirk-Rudy became well known for inkjet printing systems that were rugged, dependable and easy to operate. In 2002 the entire operation was relocated to a brand new, custom built 100,000 sq, ft. factory just up the road in Woodstock, GA. At this facility almost everything that goes into our systems is made right here. A complete metal fabrication shop and machine shop provide the parts and hardware that go into every system. A team of over 90 people, including mechanical engineers, designers and technicians create the world’s finest equipment every day. Harry Kirk continues his role as active CEO and can be found on the factory floor every day.